So I was looking at trryablade in another thread and saw these two. I love GSB, but is the Platinum any better? GSBs are 45 cents while the platinum is 75 cents. Just curious. I have about 15 blades worth experience (1 month) with the Platinums and have noticed that they seem to last longer than the GSBs for me. Specifically when I shave against the grain the GSBs cause irritation and ingrown hairs on day 2. Honestly my face doesn't agree with either particularly well but the Platinums are a notch above. Now the value of getting that extra day or two is up to you. My advice is to try a 5 pack. Thanks for the honest reply. I may just have to order that five pack. 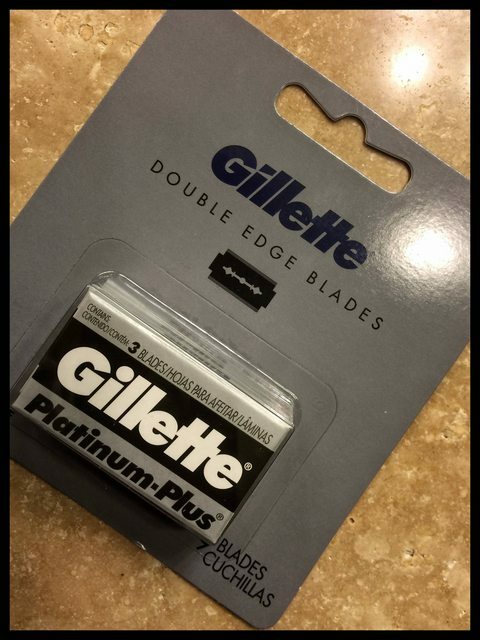 GSBs and Polsilver are the only two blades I have ordered in bulk, but it looks like I'll have to give the platinums a try. I can get about five shaves out of GSBs and Polsilvers. I've put a few of each to the task. They are not blades for me. Both of these blades seem to be very harsh on my beard and on my skin. I think the Plats are a tad bit sharper and a bit smoother, but I bleed like a stuck pig when I use them. In the interest of transparency, I have acquired a few high end razors and my technique has had time to develop, so it may be time once again to load them up to give them a shot in these razors once the Polsilvers I have in there become too dull. I have some GSBs from a few yrs ago when they were plentiful. I like them. But I dont see they have an edge (pun intended) on the bulk Personna blues. In fact I feel they are almost interchangeable without noticing a difference. I use the bulk Personna blues as a benchmark for quality and economy (even if American made wasnt a factor) For the number of DEs I have, this one is the most consistent and effective between them all. The only one it doesnt beat in longevity is some vintage Personna Super Platinum Chrome that I will argue were leftover repackaged P74s. Feathers are sharper but longevity the same. I picked up Some Bic, Bolzano, Rapira (Brn, pnk blu), and Rockwell blades online last week. These are blades I always wanted to try but stalled out after settling on the blues. The Rockwells because they were cheap and reported to be of good quality in another thread. Kind of excited to see if those Bolzanos are as stellar as their fans say they are. YMMV and all such as blades vary so much by user. Are they three bucks apiece lol?